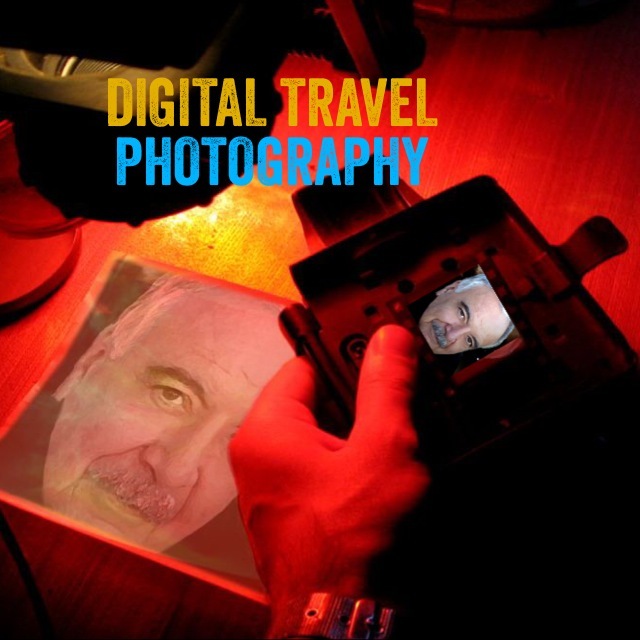 That’s just a short intro to this subject – Tracey has asked me to write a regular column about travel photography & I’ll be using some of my images as examples. I was trained as a cinematographer after leaving school at 15 to take up the apprenticeship. Part of my training was to load rolls of 35mm B&W film from a 30mm roll and take lots of shots every weekend. I then had to bring the proof sheets back to work on the Monday and the whole staff would critique my shots. When I finally became a pro cinematographer shooting newsreels on 35mm for Cinesound, I received back a shot by shot ‘rip’ sheet that gave feedback on each shot, how much film I used and how much I wasted. I soon learnt a fair bit about composition and story telling. This article focuses on many aspects of the Anangu (the Aboriginal people of Central Australia) lifestyle. Tjala (Pitjantjatjara) or Honey Ants are ants which are gorged with food by worker ants, to the point that their abdomens swell enormously, a condition called plerergate. They function as living larders. The mosaic Honey Ant is part of the Kondoli Sculpture, a beautiful Whale mosaic in Victor Harbor South Australia. The Ngarrindjeri and Pitjantjatjara Aboriginal people and the local community all contributed to the project as a part of the reconciliation process. Honey ants are edible and form an occasional part of the diet of various Australian Aboriginal peoples. Papunya, in Australia’s Northern Territory is named after a honey ant creation story, or Dreaming, which belongs to the people there. 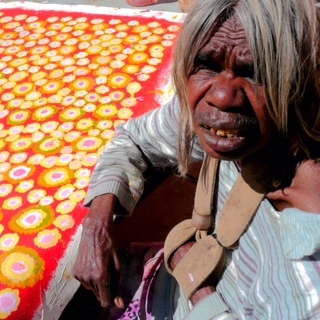 The name of Western Desert Art Movement, Papunya Tula, means “honey ant dreaming”. Their nests are found in a variety of arid or semi-arid environments. This species lives in extremely hot deserts. These images shot by me during the 3 week ‘Painting the Song’ expedition in August 2008. This resulted in a book ‘Painting the Song’ & documentary that I filmed & directed on the Kaltjiti artists in the Sand Dune country of the Western Desert. Matjangka (Nyukana) Norris dancing the Minyma Mamu (female devil) Inma or corroboree for which she is famous at Tjilpil nr Fregon, APY (Anangu Pitjantjatjara Yankunytjatjara) Lands in Central Australia. From the video shoot for ‘Painting the Song’, a documentary on the Kaltjiti (Pitjantjatjara) Artists of the Sand Dune Country in 2008. 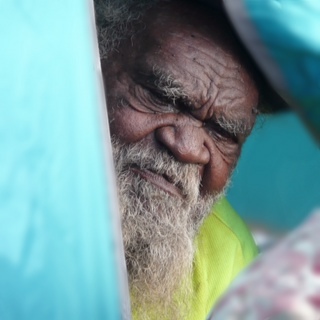 Robin Kankapakantja is the senior nguraritja or traditional owner for Walalkara. He started painting in July 2004 & he creates maps of his country with a sense of space & openness, as his mind’s eye recreates the bright pinks of wild flowers and the vivid blues of creeks brimming with water after rain. From the video shoot for ‘Painting the Song’, a documentary on the Kaltjiti (Pitjantjatjara) Artists of the Sand Dune Country in 2008. Antjala Tjayangka (and Robin Kankapakantja) – her art reflects her absorption with managing the ecology of the land near Fregon & Walalkara and she has an amazing knowledge of plants & animals of the region. From the video shoot for ‘Painting the Song’, a documentary on the Kaltjiti (Pitjantjatjara) Artists of the Sand Dune Country in 2008. Tali Tali Pompey started painting in 2000 & is very highly regarded as an artist based at the Kaltjiti Arts Centre. Her Paintings evoke the wide expanse of sand dunes stretching on the horizon. From the video shoot for ‘Painting the Song’, a documentary on the Kaltjiti (Pitjantjatjara) Artists of the Sand Dune Country in 2008. 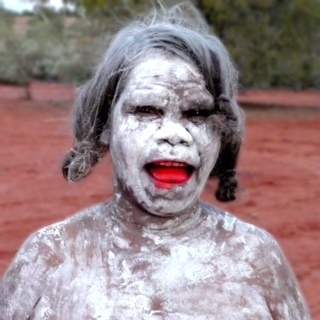 Imitjala Curley is nguraritja (custodian) for Ngunyma as it is her father Peter Wara’s country. 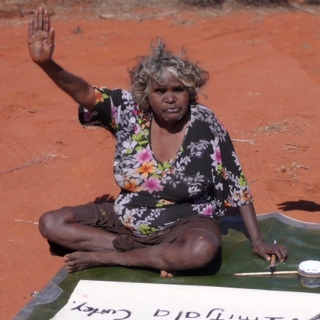 Her mother’s country is Walyrjitjara. She & her husband David Curley often work on paintings together. From the video shoot for ‘Painting the Song’, a documentary on the Kaltjiti (Pitjantjatjara) Artists of the Sand Dune Country in 2008. Painting in the desert dunes near Wattaru, in the APY (Anangu Pitjantjatjara Yankunytjatjara) Lands. This still image was shot during a 3 week expedition in August 2008, resulting in a book ‘Painting the Song’ & documentary that I filmed & directed on the Kaltjiti artists in the Sand Dune country of the Western Desert. Wiltjas are shelters made by the Anangu (Australian Aboriginal) people of the Central Desert region of South Australia such as the Pitjantjatjara and Yankunytjatjara groups. They are temporary dwellings, and are abandoned and rebuilt rather than maintained. Open and semi-circular, wiltjas are meant primarily as a defense against the heat of the sun, and are not an effective shelter from rain. These images shot by me during the 3 week ‘Painting the Song’ expedition in August 2008. This resulted in a book ‘Painting the Song’ & documentary that I filmed and directed on the Kaltjiti artists in the Sand Dune country of the Western Desert. People don’t always appreciate the damage feral camels are causing in South Australia, chiefly on the APY lands, ranging from land degradation, through to damage to infrastructure and buildings, and fouling waterholes used by native fauna. On my recent filming expedition to the desert I shot many waterholes fouled by dead camels. These waterholes are the traditional stopping points for Aboriginal people on ‘walkabout’. Much vegetation is also destroyed as camels strip branches off trees & bushes in their search for food. There are literally millions of feral camels in the desert regions of Australia. 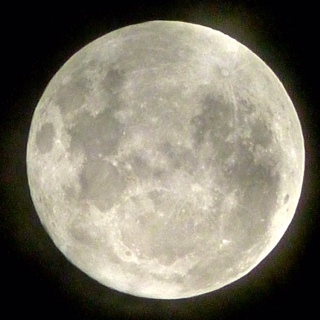 Tjukurpa is the foundation of Anangu life and society. The word has many complex but complementary meanings as displays in the above montage of paintings of different Dreamings or Tjukurpa that refers to the creation period when ancestral beings, or Tjukuritja, created the world as Anangu know it. As well as describing the past, Tjukurpa also describes the present and the future. It is the religious, legal and ethical system through which Anangu live, and have lived, in harmony with their harsh and delicate environment for many thousands of years. Minymaku (mother) and tjitji (child) at an Inma (corroboree) near Fregon. From the video shoot for ‘Painting the Song’, a documentary on the Kaltjiti (Pitjantjatjara) Artists of the Sand Dune Country in 2008. Painting the song : Kaltjiti artists of the sand dune country / Diana James. James, Diana. 2009, English, Book, Illustrated edition. Physical Description: 172 p. : ill. (some col.), maps, ports. ; 28 cm. Published: Fitzroy, Vic. McCulloch &​ McCulloch Australian Art Books in partnership with Kaltjiti Arts, 2009.